Reservation must be re-confirmed by phone 72 hours in advance. Contact number 0261 425 5511 from 09.00 am to 01.00 pm. The total outstanding amount should be paid in cash at check in according to the number of nights and guest booked. There is no refound or exchange or compensation if the number of customers or nights are less than the booking. - Party: on Wednesday and Friday we go out diner and party to other HI hostels in Mendoza. You cant miss it!!! Dress up and get ready for have fun! Transportation to the other hostel is included. - Security: There is a locker for each bed, you can buy a padlock at reception if you dont have one. - Comfort: - Rooms: There are individual lights for reading. - Luggage storage: if you check out and you have a late bus, you can store you backpack in the luggage storage; at check out time you leave your room but you can stay at the Hostel and use the common areas for free!!! Kitchen for guests and Bar to buy beer and wine. 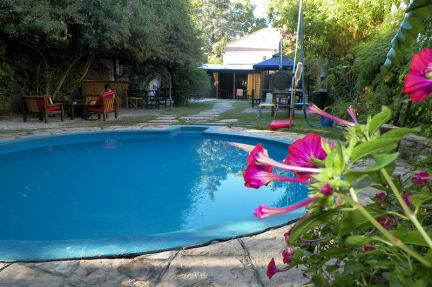 - Swimming Pool: The hostel Mendoza Inn has a big garden with a swimming pool!!!!! What else? See the football worldcup with us!! !